The following work is traditionally provided by other trades and is not included in the scope of work of the clean agent fire suppression systems contractor. All doors must have a threshold and sweep installed. Egress doors should swing out of the protected space. Doors may require weather stripping around the jam to ensure an air tight seal. Latching mechanisms are necessary and door closures may be required. If doors must remain open, an electromagnet door holder will be required and released prior to agent discharge. All types of windows, pass through, or openings, etc. must be fire caulked and sealed. Porous block walls must be sealed slab-to-slab to prevent gas from passing through the block. Two or three coats of paint are typically required. Protected areas should be enclosed with wall partitions which extend slab-to-slab. In areas where this is not possible, all ceiling tiles should be clipped and openings caulked. All walls should be caulked around the inside perimeter of the room where the walls rest on the floor slab and the walls intersect with the ceiling slab above. Upgraded ceiling tiles are recommended – similar to Gridstone Brand. Drywall should be caulked at the joints of the walls and floor, and at the roof or floor above. Any penetration, including all conduit, cable trays, outlets, switches and wire troughs must be fire caulked and sealed. If a raised floor continues out of the protected space, bulkheads must be installed under the floor directly under the partitions. These bulkheads must be caulked top and bottom. All floor drains should have traps and the traps should be designed to have water in them at all times. To ensure the protected area is air tight, dampers may be required in the ductwork at the perimeter walls of each protected space. Dampers must be spring loaded or motor operated to provide 100% air shut off. All dampers are to be UL # 5555 to meet the 5% minimum leakage requirements. All HVAC in the protected space shall be shutdown prior to agent discharge. 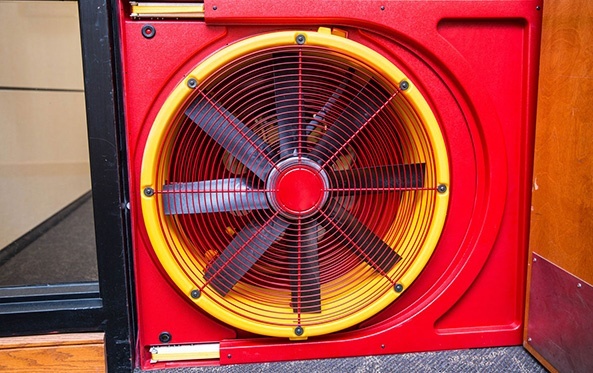 Self-contained HVAC units may continue to run if approved by the AHJ. HVAC shut down control relays should be installed to within 3 ft. of each unit. All exhaust fans should be dampered. 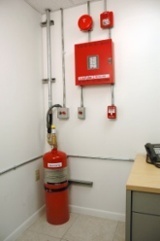 Fire alarm system control relays are used to shutdown any fans. All fresh air intakes should be dampered and closed using fire alarm system control relays. 120 VAC dedicated 15 AMP circuit to the suppression control panel is required. Power to all dampers – control relays within 3 ft. of damper. Fire alarm monitoring - contacts for alarm, supervisory and trouble conditions are available within the fire control panel. 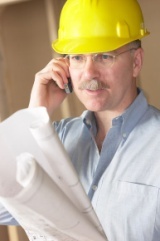 Connection is handled by fire system contractor. Purge system control wiring to HVAC units and exhaust fans are interfaced with the fire alarm system control panel. Connection is handled by the fire system contractor.